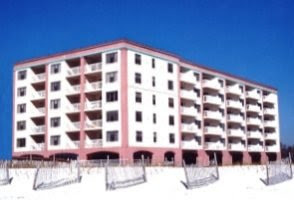 Gulf Shores waterfront condo for sale at Bel Sole. Enjoy amazing sunsets year-round in this resort property with expansive views of Little Lagoon and the Gulf of Mexico – a beautiful waterfront residence at Bel Sole. Lagoon front living with a spacious, private balcony and wide open gulf views on the south. This home has an open floor-plan and bright kitchen, dining, and living area facing the lagoon. Chef’s kitchen with solid wood cabinets, granite counter-tops and top of the line stainless steel appliances, plus a wet bar Soak in the views with a wall of windows providing an abundance of natural light – this condominium is ideal for entertaining family and friends. The private pier offers fishing, day slips for boating, and/or just taking in the sunset. Sandy lagoon is perfect for swimming, kayaking and paddle boarding. Come see this one! Bel Sole condos in Gulf Shores are conveniently is located in West Beach, approximately one mile west of Little Lagoon bridge. The community amenities feature deeded beach-access, a fitness facility, indoor & outdoor pools, spa/hot tub, a fishing pier and more.